When I found out that Top Chef Master Rick Bayless had opened a restaurant in LA, it became #1 on my list of choices for a night out. 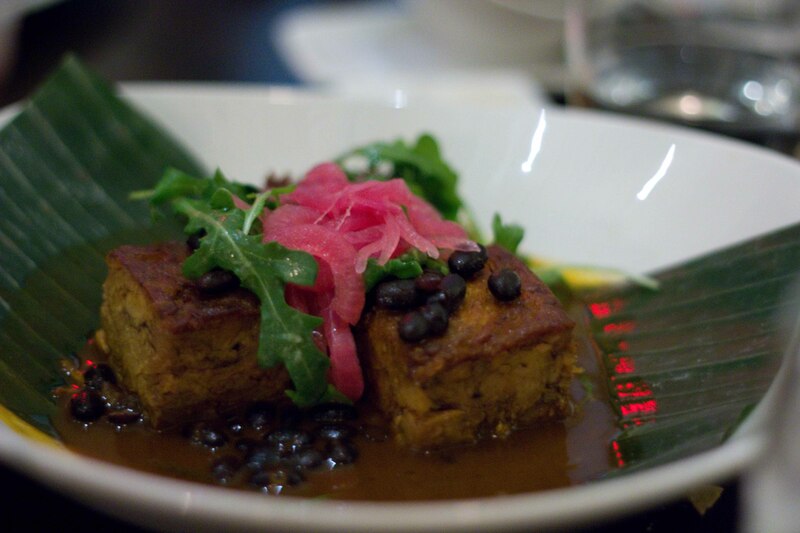 But then I started reading reviews, and started hearing rumblings about how distant Rick Bayless was from the actual restaurant and I wondered whether or not we should “waste” a dinner what potentially could be a disappointing experience. We made a reservation, but I wavered back and forth for weeks. On one hand I was wary of the negative reports from its opening few months; long waits even though you had reservations, doorman at the restaurant, Bayless himself seemingly trying to distance himself from the restaurant. But then there were the positives; one of the hottest restaurants in LA right not, great Mexican flavours in a fantastic space, Bayless’ own mole recipe. In the end, we decided to check it out and I’m happy I did because it turned out to be a fantastic evening with a great group of friends. We did have to wait for our table past our reservation time, but we were held in their “tequila cave” and served lovely drinks. Mine was a delightfully fruity, but not too sweet, Market Margarita with fresh cucumber and melon. The timing was good because it seemed as just when I felt I had waited long enough, our table was ready. 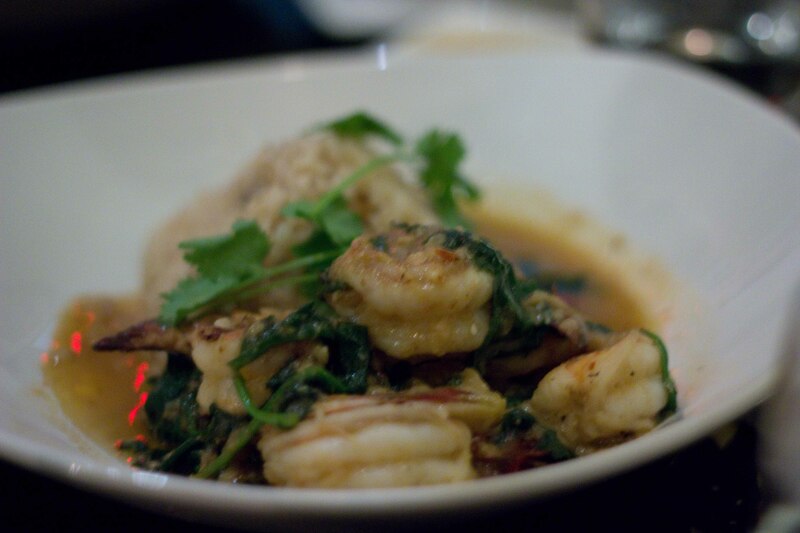 The menu at Red O is very large, and I had studied it carefully in advance as I heard there were some hits and misses. 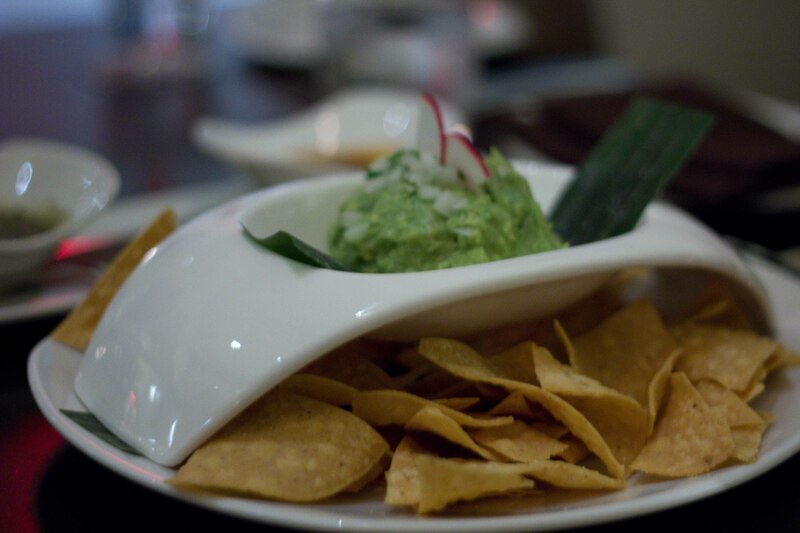 Classic guacamole - Warm tortilla chips complemented the chunky avocado with a nice citrus zing. I have rarely met a guacamole I haven't liked though. 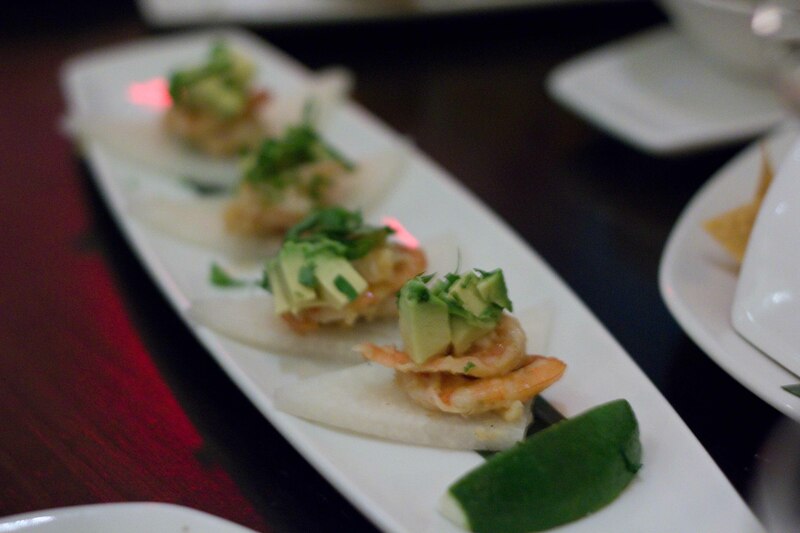 Grilled Mazatlan Blue Shrimp Tostadita - The garlic mojo brought out the great grilled shrimp flavour and the crisp jicima vehicle was a nice counterpart to the luscious avocado. 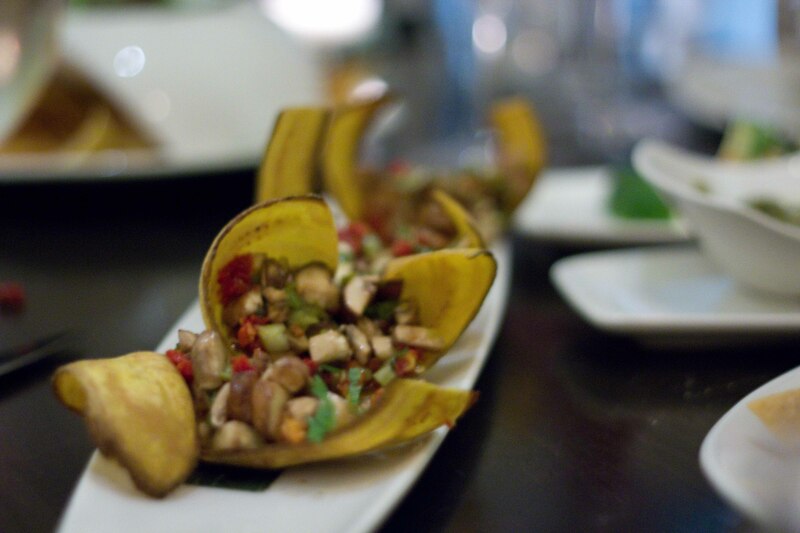 Woodland mushroom ceviche - a mushroom ceviche? Yup, and it was good! The mixture was bright and citrusy and the serrano chile added a nice zing at the end. 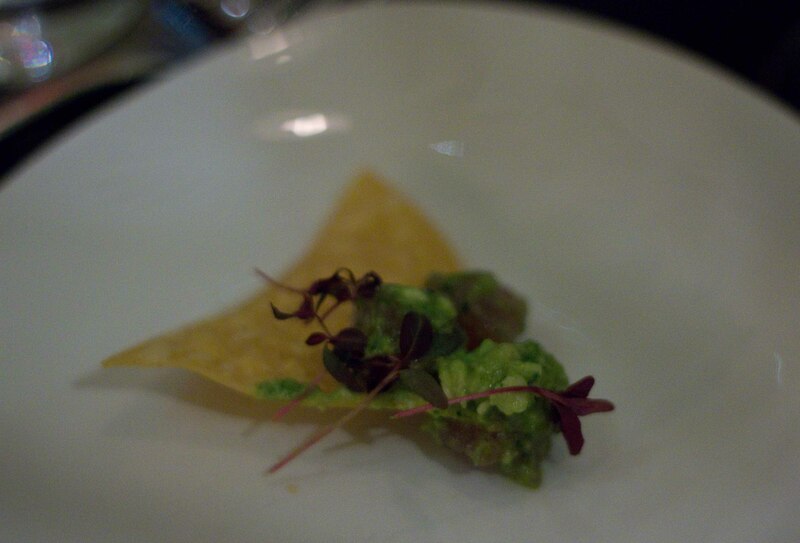 I thought this Alaskan Halibut ceviche on my plate was guacamole. Imagine my surprise when I bit in to little morsels of fish! I was happy that we ordered a salad. 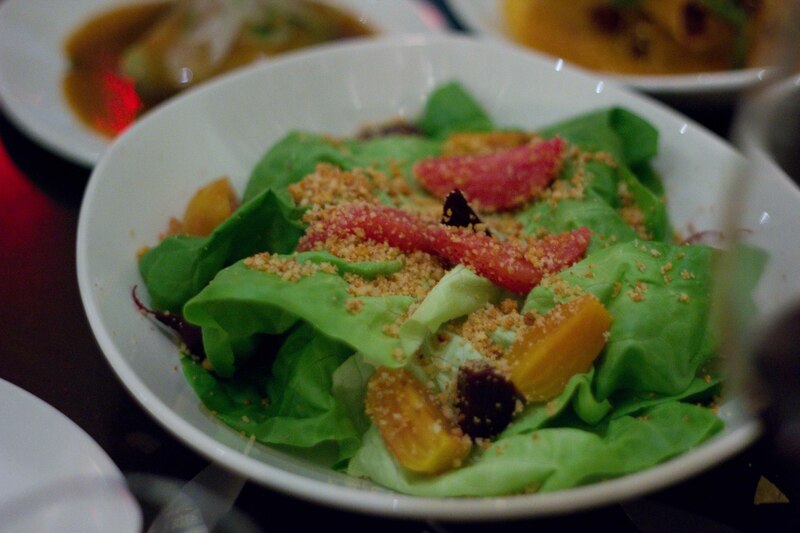 The crunchy fresh lettuce was a great contrast to all of the heavier dishes we'd ordered. 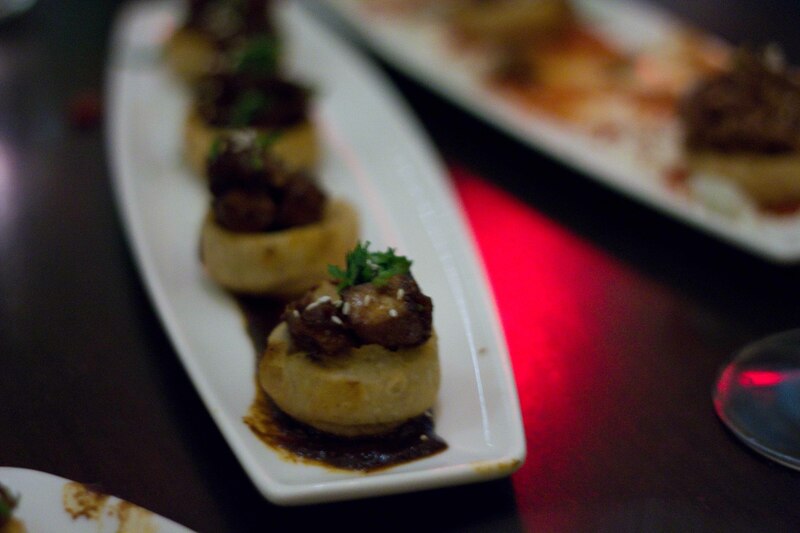 Slow-cooked Sonoma duck taquitos - one of our favourites of the evening. 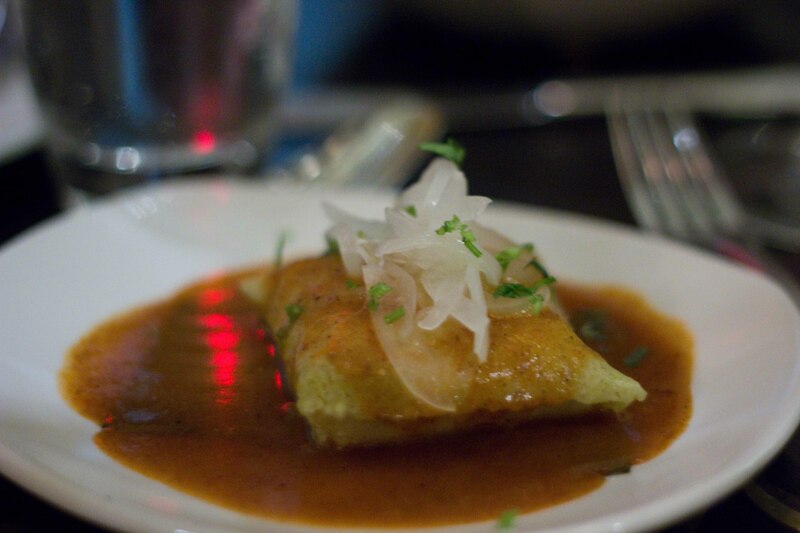 But who wouldn't like a crispy fried hot tortilla holding rich melt-in-your-mouth duck? 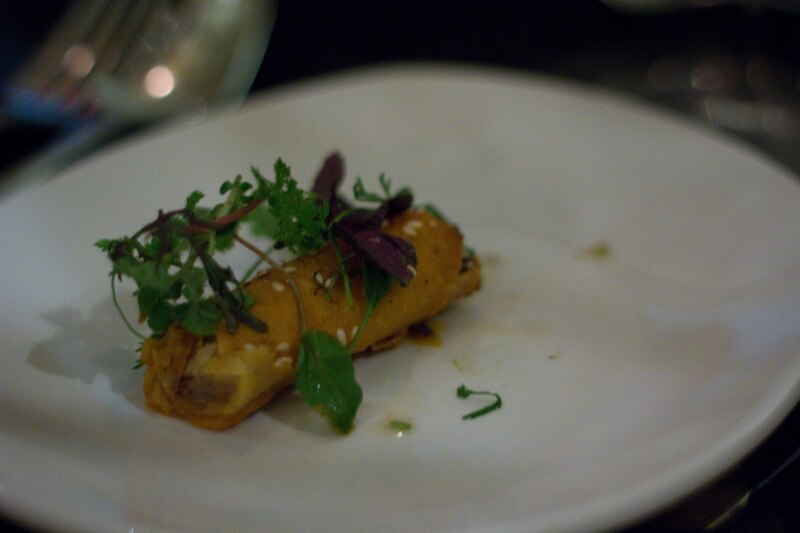 Chicken tamale with Oaxacan yellow mole - The corn masa was fluffy and soaked up the mole wonderfully. Of all the jazzed up versions of Mexican street food we had, this one didn't live up to my expectations. I like my tamales wrapped like a present. This one was just too complicated for me. 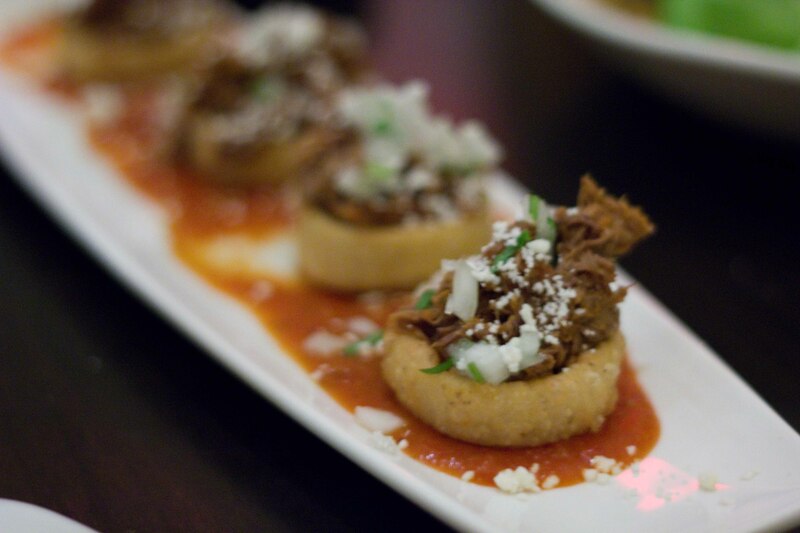 Shredded short rib sopes - bite sized pieces of masa topped with tender beef and roasted tomato/chili sauce. Pork Belly sopes - the smoky/sweet salsa negra. My favourite bite of the evening. It was around here in the meal that I started to get full. Although I ate bits of the remainder of the dishes, I really can’t comment that much on any of them. 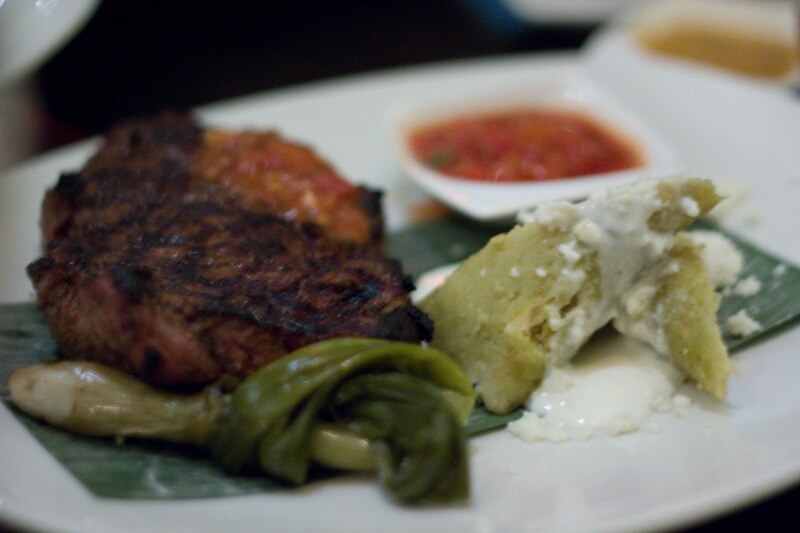 Carne Asada Brava - This spicy green chile marinated rib eye was perfectly cooked over coals and had great beef flavour. 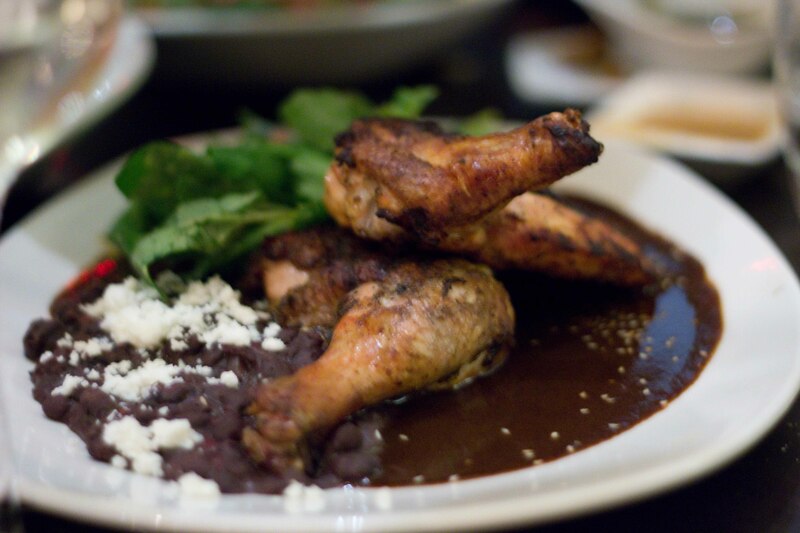 Pollo en Mole Poblano - I love a good mole. And that's exactly what this was, a good mole. The sauce was very subtle, for still very complex and finished with a bit of heat. 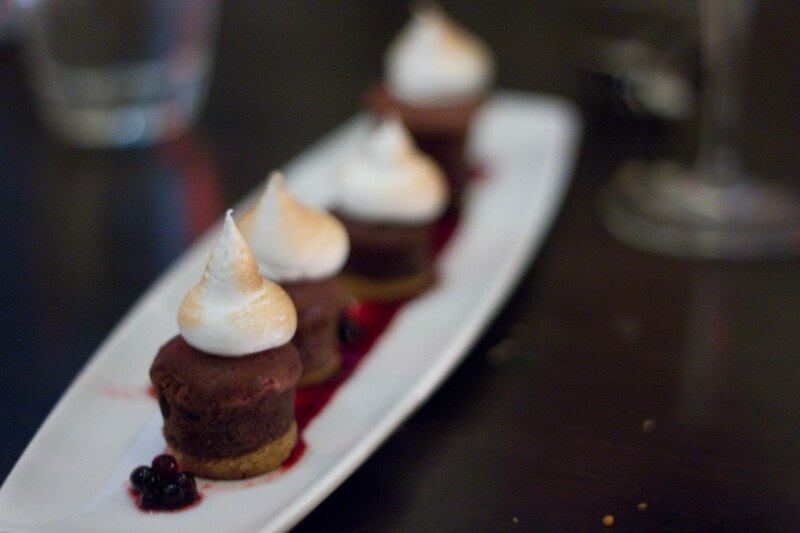 I expected more than this from Top Chef Master Rick Bayless who won partly because of his mole. Maybe I shouldn't have been comparing it to the moles of Oaxaca though. We had more than enough food at that point, but wanted some tastes for dessert. 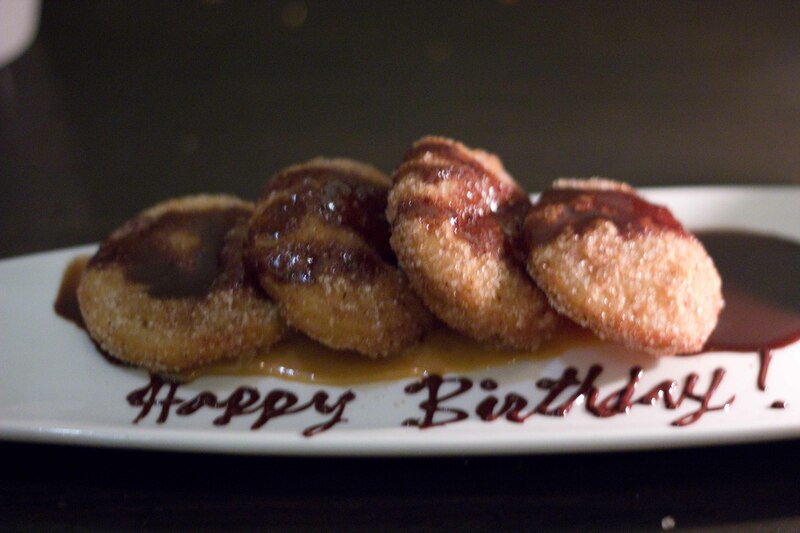 It was also Ken’s birthday, so we had to celebrate it with something sweet. 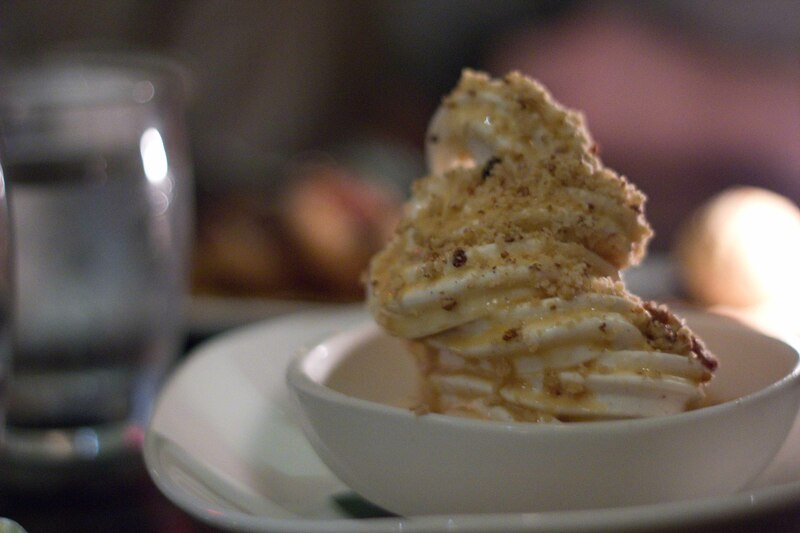 Cajeta - Mexican caramel goat milk ice cream with pecan bacon streusel was my favourite of the evening. For the life of me, I can't remember what these were. Too bad, because I remember liking them. Thanks! It was a great night.